The criminal justice system has driven a wedge between black men and their children. African American men are involved in the criminal justice system, whether through incarceration, probation, or parole, at near epidemic levels. At the same time, the criminal justice system has made little or no institutional efforts to maintain or support continuing relationships between these men and their families. Consequently, African American families are harmed by this in countless ways, from the psychological, physical, and material suffering experienced by the men themselves, to losses felt by their mates, children,and extended family members. 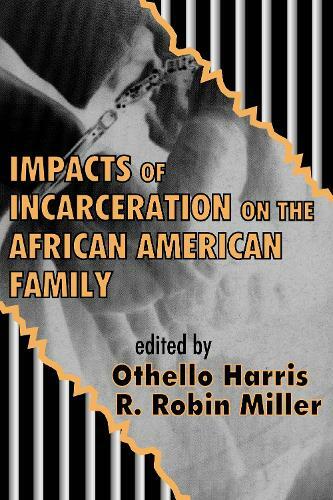 "This compilation of empirical works and comprehensive literature reviews addresses the areas of incarceration and the African American family. The text also lays bare the relationship between America's 'war on drugs' policies and 'the race to incarcerate' African Americans. . . . Social scientists, social workers, and other professionals will find this text a useful reference tool for designing studies, programs, and policies."